Triple XP Weekend – Last Chance! To kick off the post, I’d like to say a thank you to hf556 for inviting me to re-join Bin Weevil Company. I’m so happy to be back, writing posts! 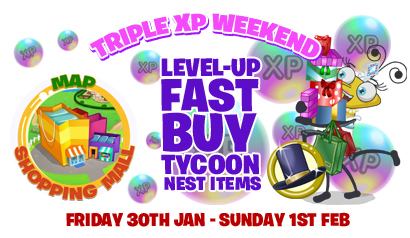 If you didn’t know already, all Bin Tycoon items sold at Nestco now reward you triple the XP when bought! This is to mark the Bin Tycoon 7 Day Special, but hurry though because it ends tomorrow! Get shopping!! With this special offer, we are sure that you will level up soon! Make sure you leave a comment below on how many levels you’ve went up, with the Triple XP Weekend offer. Do you want more codes? For even more XP? Head over to our secret codes page! New Halloween Items & Good VS WeEVIL Free To Play! A collection of new Halloween nest items have arrived at the Halloween Shop inside the Shopping Mall! The new items are from the Good VS WeEVIL Trading Cards which is perfect for this spooky month. You can collect four spooky WeEVIL Bin Pets, while collecting the other new arrivals too. Want more great news? This Halloween Good VS WeEVIL is now available for all players. Head to SWS HQ to start your spooky Case File now. Tell Bin Weevil Company your thoughts about the new items in the comments area below! Firstly in this jam-packed post, MagicPurpleBee also known as Dana was spotted as I was going to the Fortune Teller. 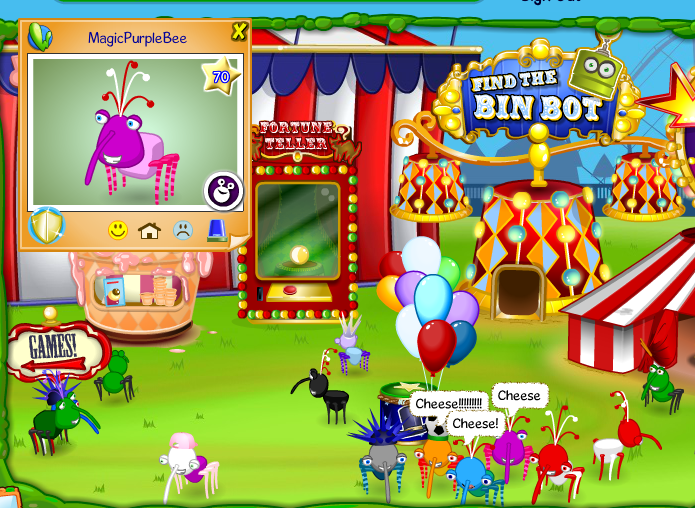 MagicPurpleBee is the head action-script developer on Bin Weevils and loves to have a little chat with you. Secondly, Dana mentioned a new nest item, which was out for about 2 days last year, has arrived back at the Summer Fair. It is a mini Gunge Tent for your nest. It’s located next to Spin the Wheel, which is located in at the picture above. Here is what it says. Finally, if you head down to the prizes area, there is some extra awesome prizes there. 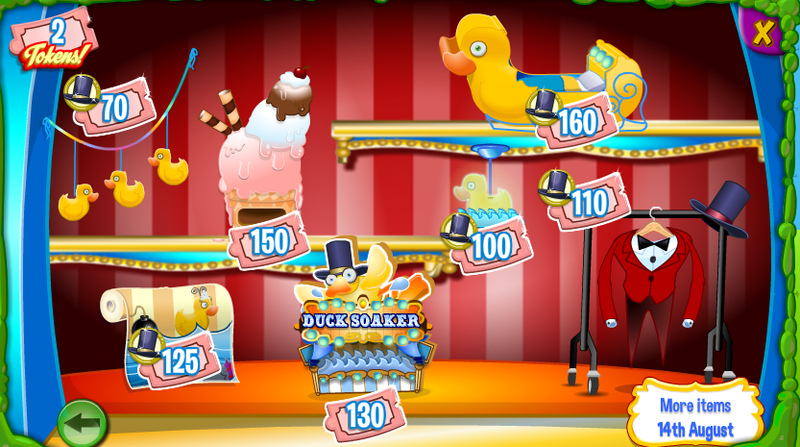 The old prizes are still there you just need to click the arrow found in the corner to get these awesome prizes. Thank you for reading this post, for more awesome posts just scroll down and you will find more there.